It’s finally finished and on it’s way to northwest Arkansas! This doll quilt was so much fun to make and I had to learn all kinds of techniques to get it done. Machine quilting didn’t look good so I hand quilted for the first time. Hand quilting is very relaxing, much like knitting. Getting the binding on took three tries, but the mitered corners came out just right. 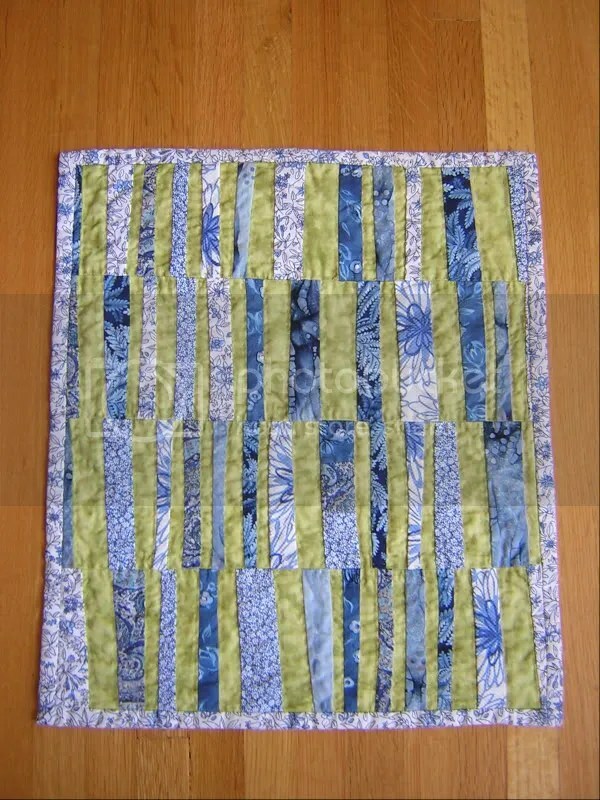 To see many other fabulous mini quilts, visit the Doll Quilt Swap flicker group. This entry was posted on July 21, 2007 at 9:19 am and is filed under Uncategorized. You can follow any responses to this entry through the RSS 2.0 feed. You can leave a response, or trackback from your own site.